Experience fairytale-like destinations when you embark on an all-inclusive Adventures by Disney River Cruises voyage through Europe. Forested hilltops host dramatic castles and villages seem to appear straight out of a storybook as you sail toward charming destinations dotting the Rhine and Danube rivers. 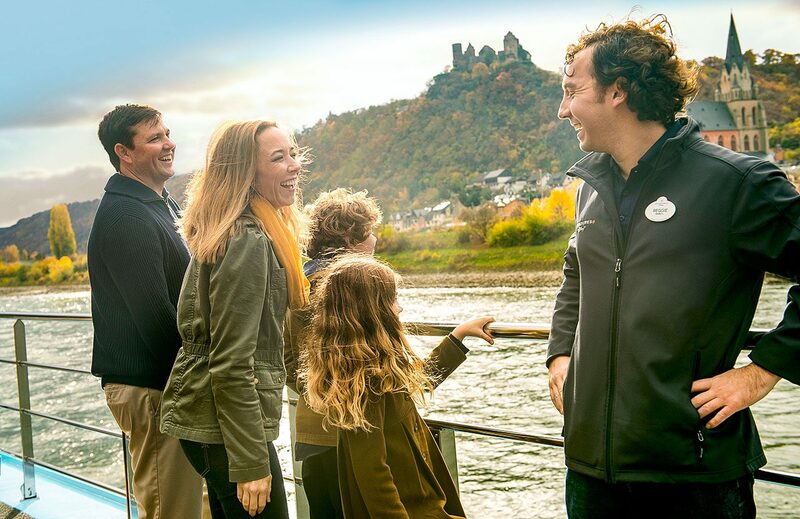 Your river cruise adventure is filled with enticing activities geared toward kids yet fun for the whole family, from learning to make chocolate in Germany to zipping through an Austrian mineshaft. 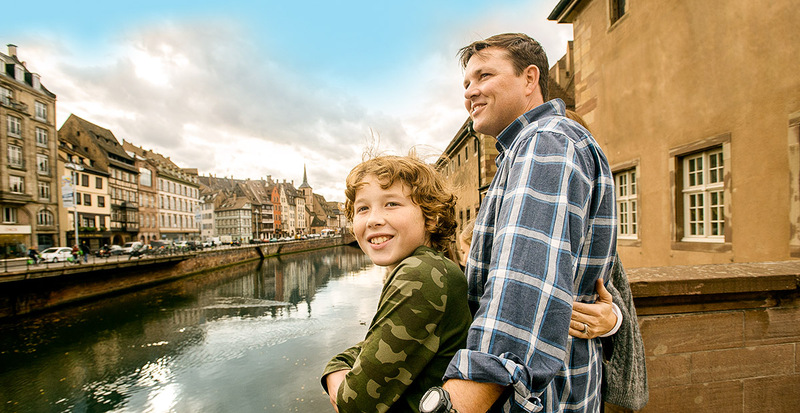 Let us plan your enchanting eight-day river cruise for a family vacation unlike any other. Traversing the waters between Switzerland and Netherlands on the Rhine River Cruise, let AmaKristina take you through picturesque and historical lands. Classic stories come to life in Alsace, a verdant region on the west bank of the upper Rhine along France's eastern border. Its capital city, Strasbourg, evokes images of fairytales with its half-timbered medieval houses and window boxes full of flowers. Take in the beautiful surrounds on a canoe trip through the center of Old Strasbourg or channel your inner gourmand as a local chef teaches you to make pastel-colored French macarons. On an evening walking tour, you’ll visit St. Thomas Church and its famous organs — one on which Mozart once played — for a private concert. Panoramic views of wine country and the Rhine greet you at the Niederwald Monument, a statue tribute to German nationalism reached by gondola ride from the riverside town of Rüdesheim. You’ll venture deeper into the heart of the region during a bike tour of the pastoral Rheingau countryside, past rows of terraced vineyards stretching out as far as the eye can see. Though it might be tempting to spend your entire time outdoors, we recommend venturing into the castle-like Brömserhof, a former residence turned museum, to view one of the largest collections of mechanical music boxes and giant pianos from the 18th to 20th centuries. Channel your inner artist in Amsterdam at a painting workshop and intimate tours of the Netherlands' best museums. 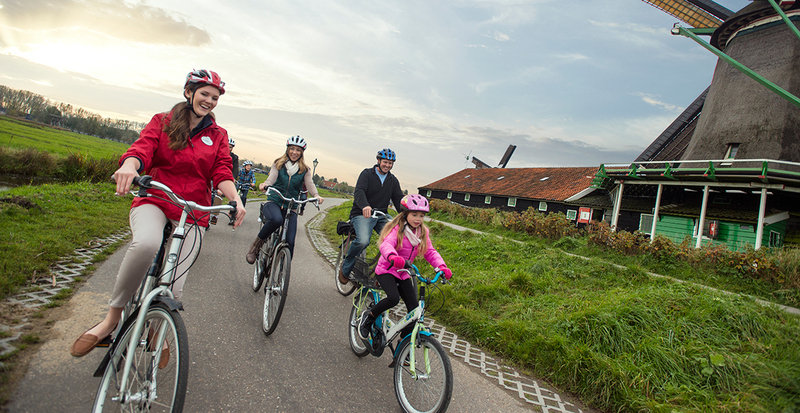 You'll pass iconic wooden houses and still-operating windmills outside the city as you head to an authentic 17th-century farm in the nearby community of Zaanse Schans to see a cheese-making demonstration and introduce your kids to the flavors of Gouda and goat cheeses. Or opt to decorate your own pair of wooden clogs — during a nighttime performance of traditional Dutch folk dancing you just might be inspired to join along! Set off on the Danube River Cruise aboard the AmaViola, from the lively German town of Vilshofen to the postcard-perfect Budapest. Vienna, the jewel of Austria, presents a beautiful blend of historic and contemporary architecture and a fascinating past as home to musical masters like Mozart, Beethoven, Brahms and Schubert. At Baroque Schönbrunn Palace, you’ll explore terraced gardens — including one with a maze — and wander through elegant rooms down to the underground kitchens. 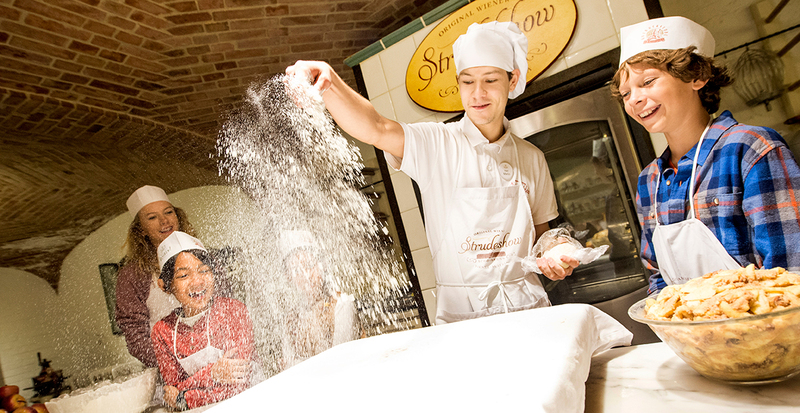 Bring your appetite, as you’ll learn how to make a famous regional treat: apple strudel! Visit the beautiful Mirabell Gardens and other sights made famous from the movie "The Sound of Music." 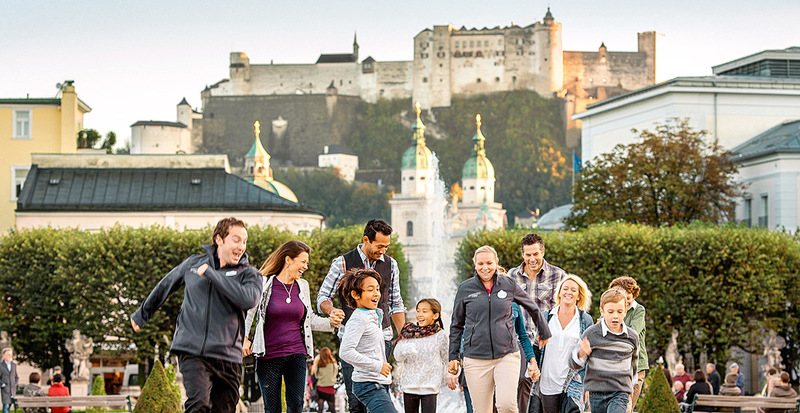 You'll stroll through the garden's manicured lawns and explore eye-catching landmarks like the 900-year-old hilltop Hohensalzburg Fortress before sitting down to lunch at Europe’s oldest restaurant, where a seasonally inspired menu includes classic dishes like filet of char cooked sous-vide and homemade ravioli. Balancing precariously on a rock, the Maiden’s Tower at Devín Castle has inspired legends of damsels in distress and daring heroes. 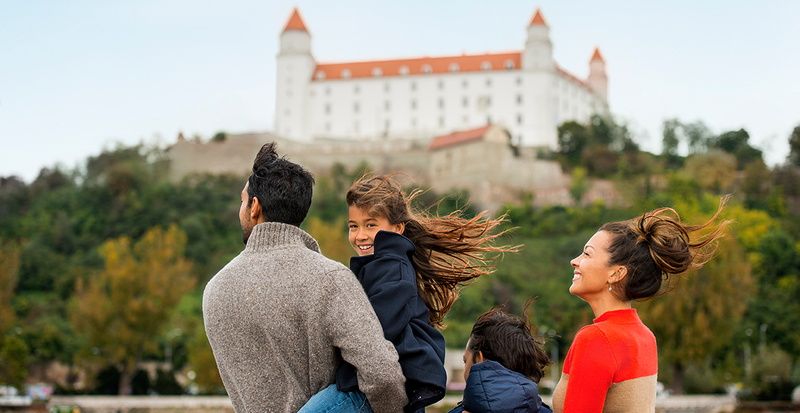 Venture to the cliff’s top to explore the castle ruins — a highlight of your visit to Bratislava, Slovakia — and try your hand at archery and other medieval activities, including candle-making with real beeswax. A custom-designed coin you mint yourself becomes a cherished souvenir. Just across the border in Austria is a castle of a different kind: Schloss Hof, a Baroque palace with a grand ballroom, multi-terraced gardens and an animal farm. Immerse yourself in timeless tales along the Rhine and Danube — we’ll take care of the details. From securing your riverview accommodations to arranging your choice of multiple excursions daily, we’ll ensure your voyage is seamless and carefree. Plus, your Adventures by Disney river cruise includes VIP access to unique locations and knowledgeable Adventure Guides who ensure you get the most out of each destination. 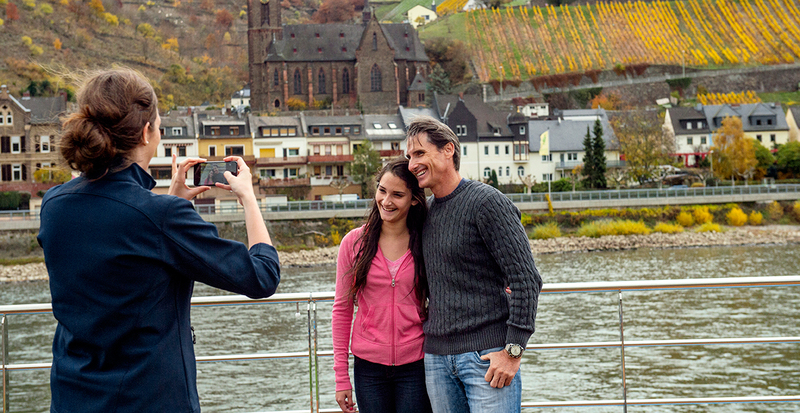 We’ll plan your family’s one-of-a-kind river cruise adventure!